Finally got my largest piece to date finished off and put together with all its mats, foamcore, and framing. Here is 'Autumn Gold'. 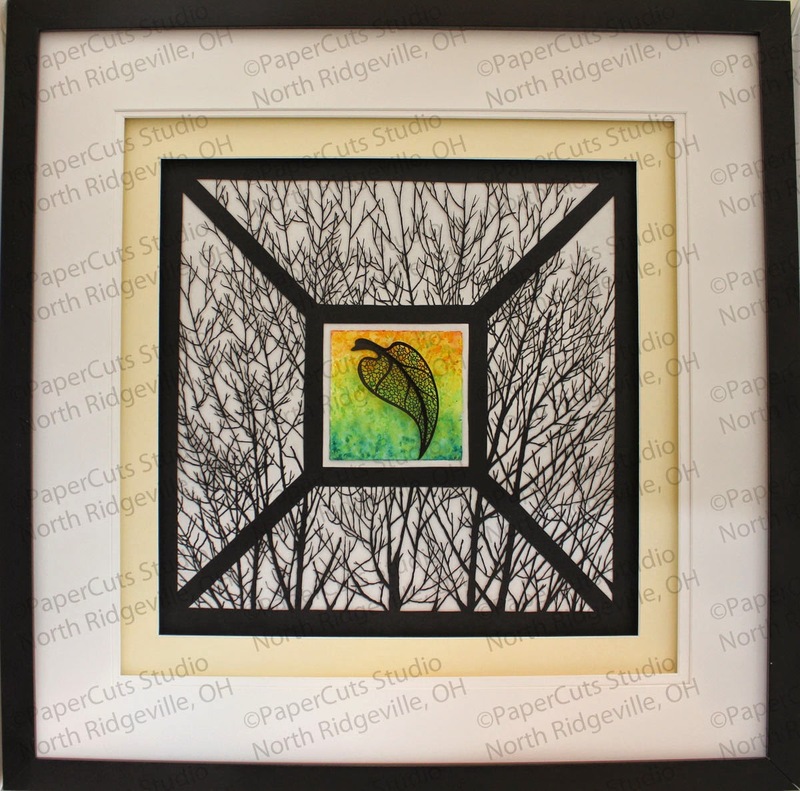 This is an original design papercut paper sculpture artwork composed of silhouette-style forest of bare tree branches cut by hand from black linen paper. 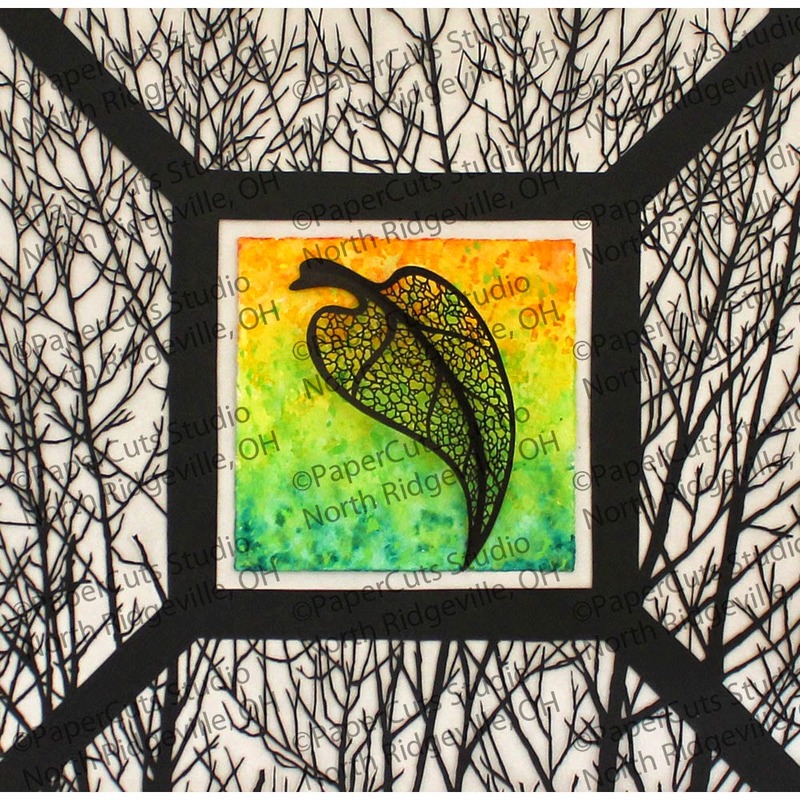 Centered in the frame of branches is a floated deckled-edge watercolor painting in golds shading to greens, with a freehand mosaic-cut and hand-shaped leaf sculpture mounted on it. The outline of the leaf and the mosaic detailing on each of the segments was cut by hand with an x-acto knife and designed as I went with no sketches, so it is free-flowing and unique. 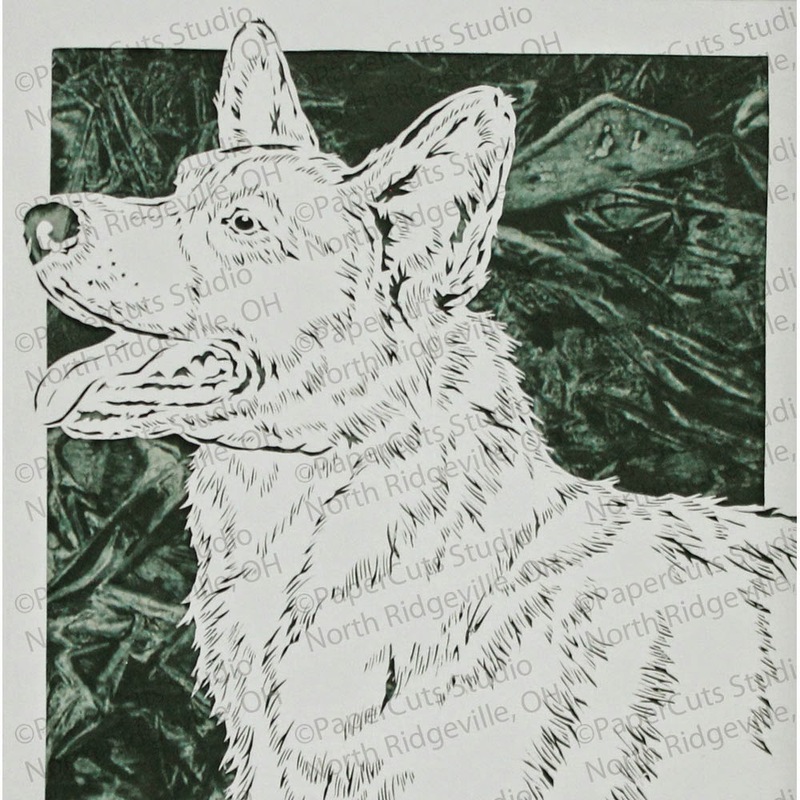 This piece is triple-matted in cream and whites with foamcore spacers between the layers to give the piece depth. 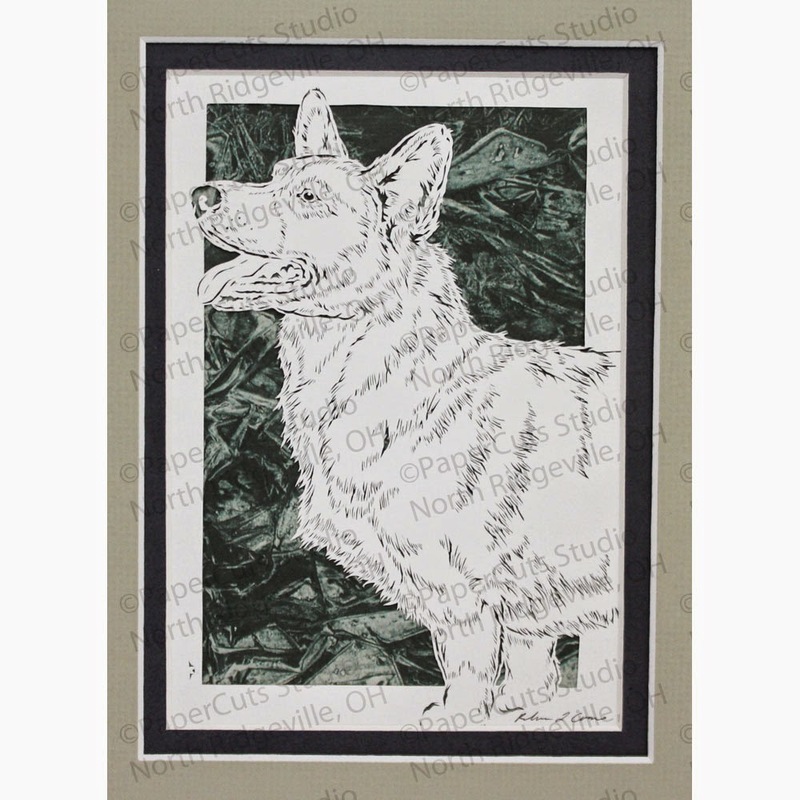 The size is approximately 20x20, and it is framed in a black metal shadowbox-style frame. Edition 2/5 of my Scroll Heart Art Card. 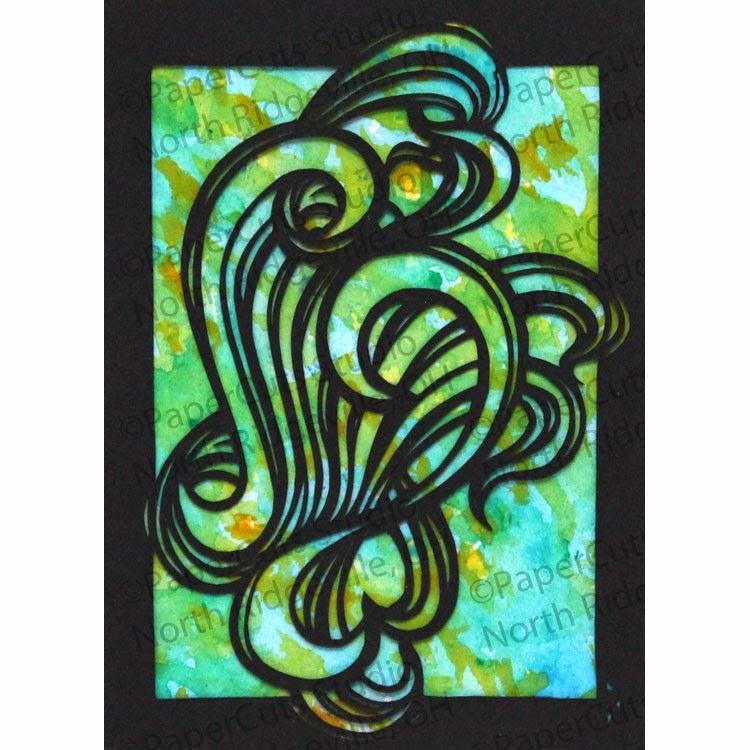 Hand-cut, original design, cut from black cardstock and backed with a miniature watercolor painting in blues, greens, and golds. Edition 2/3 of P75, my Cardigan Welsh Corgi is finished! Hand-cut original design papercutting, backed with a deep olive green paper with a crumpled fabric pattern. Matted to 8" x 10", double mat is pale celery green and navy blue. 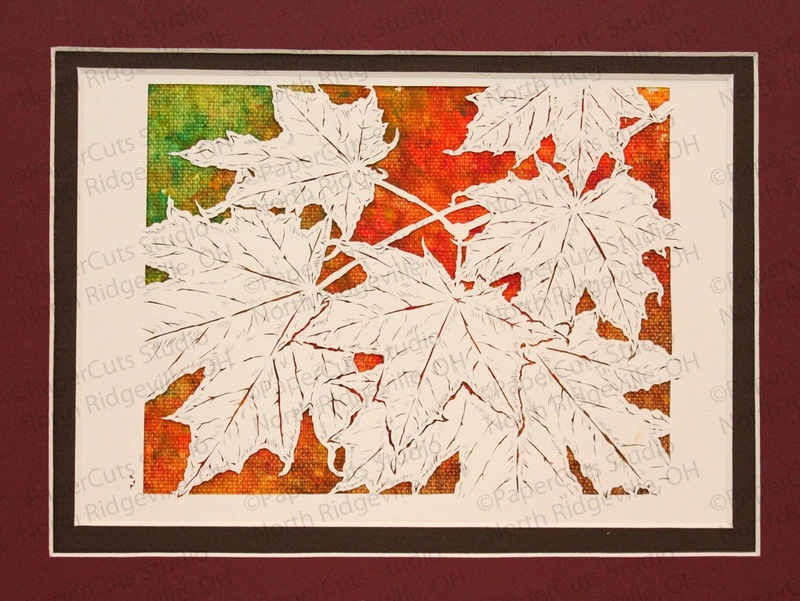 Maroon and chocolate brown matting, watercolor painting in reds, oranges, golds with shadings to brown in one corner and shading to green in the opposite corner.